The ‘Sport Premium Grant’ is funding allocated by the Government to improve the quality and breadth of PE and sport provision. How have we been spending the Sport Premium Grant? Helping the staff to assess each child in PE. We aim to reach the criteria for the Silver Sainsbury’s School Games Mark and provide sufficient evidence to achieve this award. We intend to offer a wider range of after school clubs and coaching sessions and aim to engage at least 30% of KS2 students in extracurricular sporting activity every week. Through motivating and creative activities we aim to continue to inspire and educate children and staff, raising standards whilst encouraging a more active healthy lifestyle. We will continue to invest in the professional development of staff so they are best equipped to teach high quality PE and school sport. This will include providing cover to release staff for professional development. Targeted support for vulnerable groups and individuals to raise participation in sport. We will promote intra-school competitions (at least 3 each year) and inter-school competitions (at least 5 each year). A weekly coaching session led by the specialist coach – available to all year groups over the year (various sports). Some of which led to inter-school competitions. Increased participation in competitions and tournaments including cross-country, cricket, netball, football, multi-skills, basketball and athletics. Specialist coach worked alongside class teachers in weekly PE sessions, modelling good teaching, developing teacher confidence and competence in teaching PE and sport. The Lancashire scheme of work implemented across school, including using the core tasks as means of assessment. Teachers’ skills and knowledge has been developed through continued professional development sessions and attendance of external KS1 and KS2 curriculum courses. Year 6 children were given the opportunity to take part in bike-ability and those children without bikes were able to borrow a cycle to complete their training with a focus on staying safe. Development of competency and skills in games across the school. We will continue to evaluate the impact of the Sports Premium funding. We will look at how well we use our Sport Premium to improve the quality and breadth of PE and sporting provision, including increasing participation in PE and sport so that all pupils develop healthy lifestyles and reach the performance levels they are capable of. Measuring the impact of the activities provided with sports premium funding can be achieved in different ways. We will look at progress in PE and the numbers of pupils involved in sporting activities in and out of school. Assessment in PE will be developed to ensure that progress in PE can be closely monitored. We will also evaluate the impact of professional development opportunities in improving teaching and learning in PE. 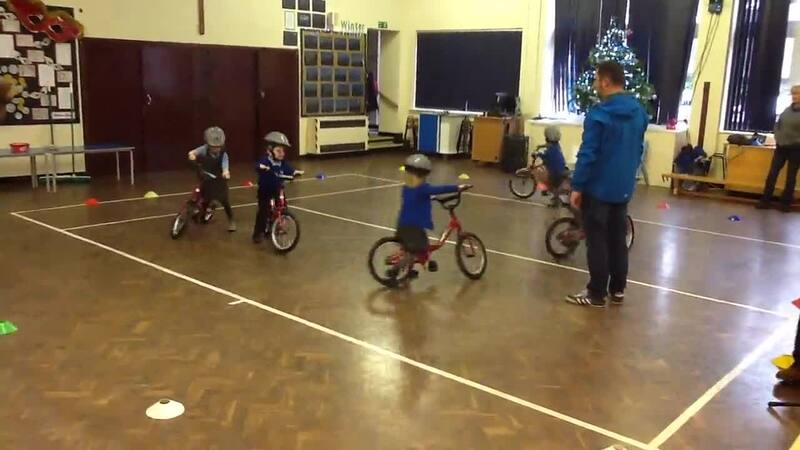 The children in reception are really enjoying their balance bikes sessions that have been provided through the School Sport Partnership. After Christmas, some of the children, those who have mastered balancing, will progress to using pedals.